张文浩, 周新桂, 李世臻, 张交东, 王丹丹, 刘卫彬, 林燕华, 孟元林, 周锡明. 三江盆地前进坳陷油气地质调查新进展[J]. 地质通报, 2018, 37(6): 1157-1165. 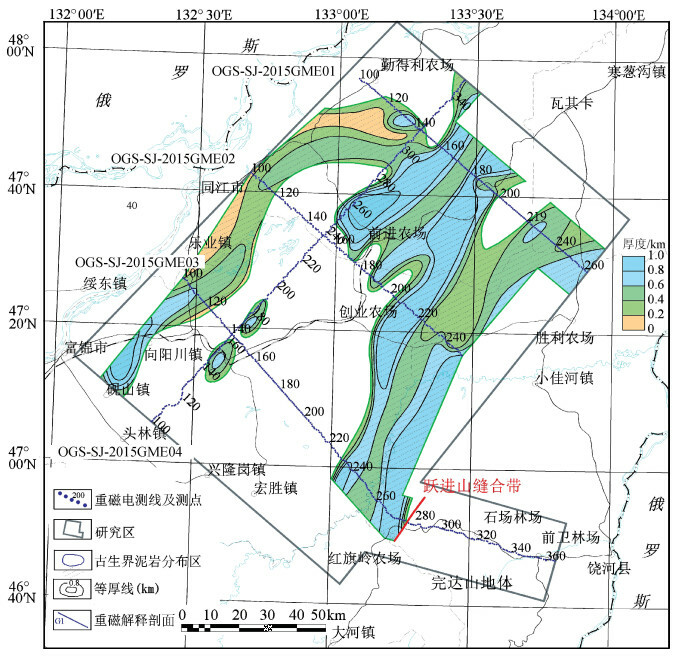 Zhang W H, Zhou X G, Li S Z, Zhang J D, Wang D D, Liu W B, Lin Y H, Meng Y L, Zhou X M. The progress in oil and gas survey in Qianjin Depression of Sanjiang Basin[J]. 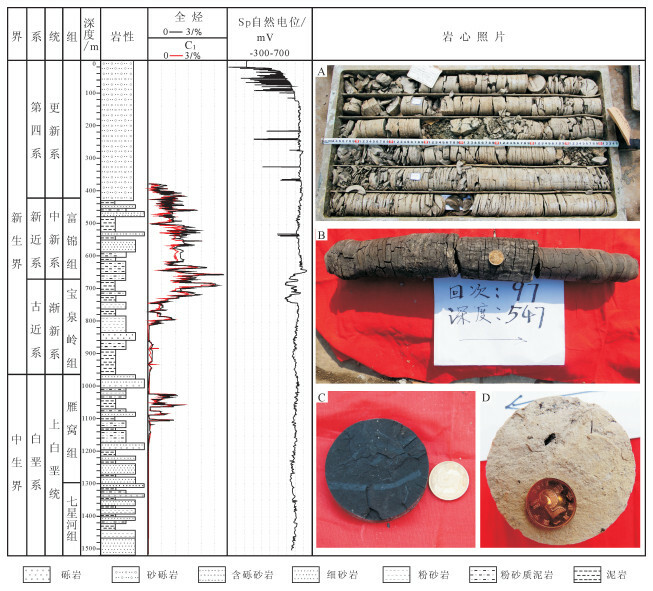 Geological Bulletin of China, 2018, 37(6): 1157-1165. Abstract: With increasing difficulty in the development of oil and gas exploration in large oil and gas-bearing basins in Northeast China, old oil field development level has entered the late stage, and the detection of new oil and gas areas is an urgent task. 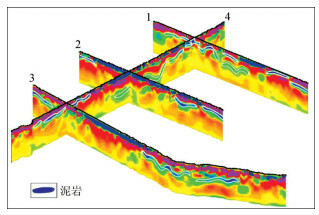 As one of the seven primary prospective basins in the periphery of the Songliao Basin, Sanjiang Basin has a great potential for oil and gas explora-tion. 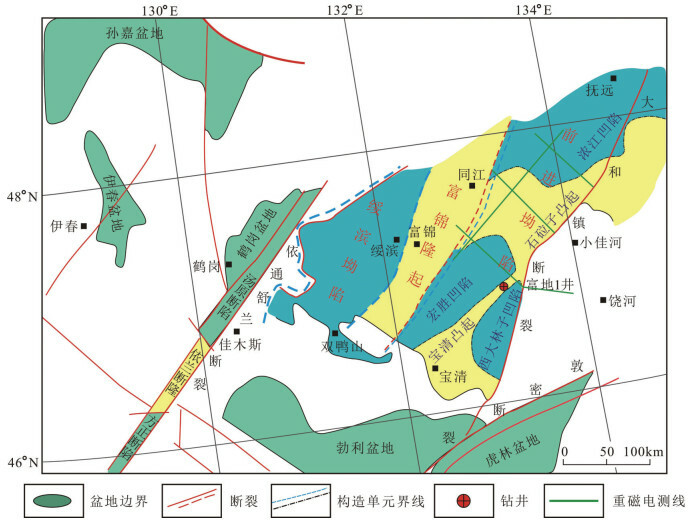 Through a series of oil and gas geological survey work carried out in the Sanjiang Basin recently, the authors made some new progress and obtained new understanding in such aspects as biogas resources, dark mudstone in Late Paleozoic strata and hydrocarbon potential of silica rock. The results obtained by the authors are of great significance for evaluation of oil and gas resource potential and the further oil and gas exploration work. 胡志方, 马义忠, 乔桂林, 等. 三江盆地石油地质条件与勘探前景[J]. 河南石油, 2006, 20(1): 1–5. 张兴洲, 马志红. 黑龙江东部中-新生代盆地演化[J]. 地质与资源, 2010, 19(3): 191–196. 吴河勇, 刘文龙. 外围盆地评价优选[J]. 大庆石油地质与开发, 2004, 23(5): 20–22. 毕殿辉. 三江盆地前进坳陷石油地质研究新进展[J]. 内蒙古石油化工, 2011, 11: 134–135. 刘云武, 唐振国, 刘文龙. 三江盆地演化特征与油气勘探方向[J]. 石油天然气学报, 2006, 28(2): 1–5. 吴河勇, 杨建国, 王世辉, 等. 大三江地区油气勘探进展[J]. 大庆石油地质与开发, 2009, 28(5): 49–53. 林春明, 李艳丽, 漆滨汶. 生物气研究现状与勘探前景[J]. 古地理学报, 2006, 8(3): 317–330. Shurr G W, Ridgley J L. Unconventional shallow biogenic gas systems[J]. AAPG Bulletin, 2002, 86(11): 1939–1969. 林春明, 钱奕中. 浙江沿海平原全新统气源岩特征及生物气形成的控制因素[J]. 沉积学报, 1997, 15(增刊): 70–75. 康玉柱. 中国古生界油气勘探前景展望[J]. 地质力学学报, 2006, 12(1): 1–5. 周建波, 张兴洲, 马志红, 等. 中国东北地区的构造格局与盆地演化[J]. 石油与天然气地质, 2009, 30(5): 530–538. DOI:10.11743/ogg20090502. 路放, 刘嘉麒, 李亚辉, 等. 国外含油气盆地硅质岩储集层主要类型及勘探开发特点[J]. 石油勘探与开发, 2011, 38(5): 628–636.